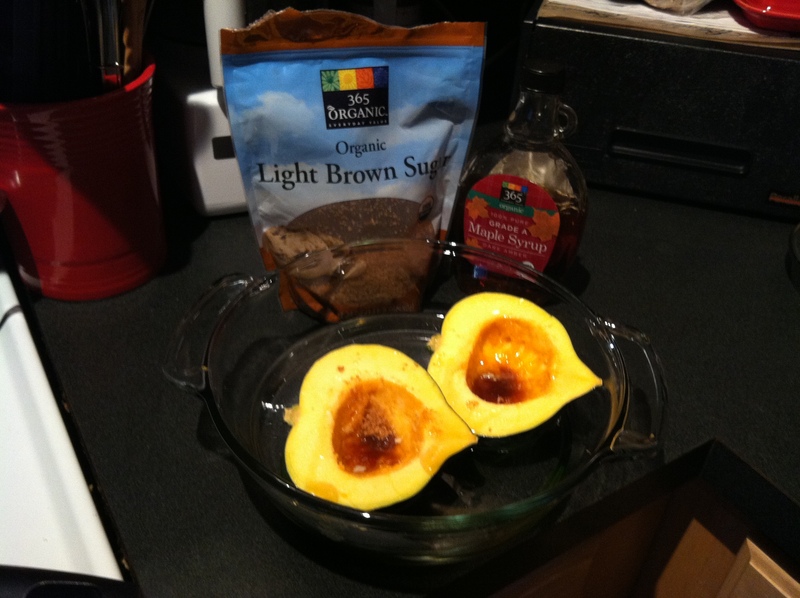 Tis the season for squash galore and this side dish couldn’t be easier! 2. Using a large, sharp knife, cut squash in half. This recent Chow.com may help! Scoop out seeds. 3. Place cut side up in a baking dish (casserole dish, glass dish, etc.) and add about 1/2 inch of water to the dish so the skins don’t burn and get dried out (or wreak havoc on your dish. Trust me). 4. Coat the inside and rim of each half with the melted butter, then add a dash of salt as well as 1 Tbsp. of brown sugar to each half. 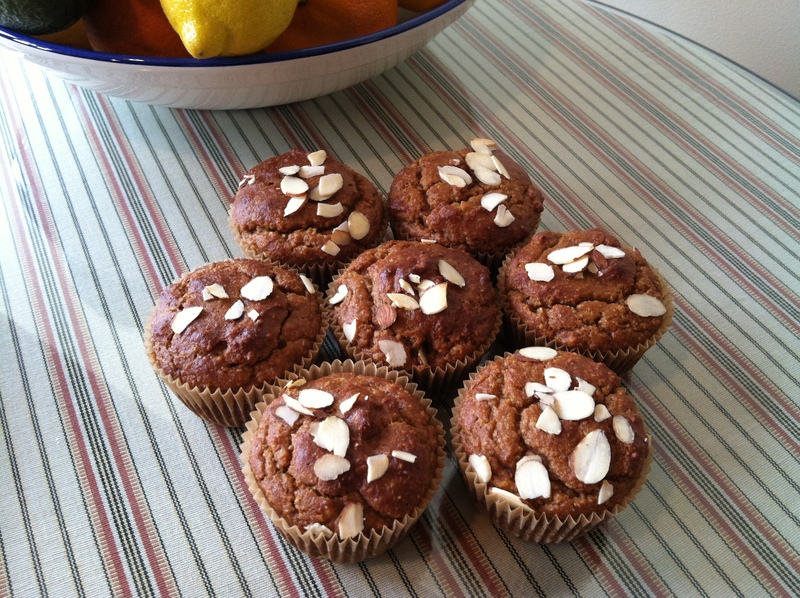 Drizzle each half with the maple syrup. 5. Bake in the oven for one hour to an hour and 15 minutes, depending on the size of the squash, until the tops are starting to brown (I certainly could have cooked the above squash a little longer). 6. 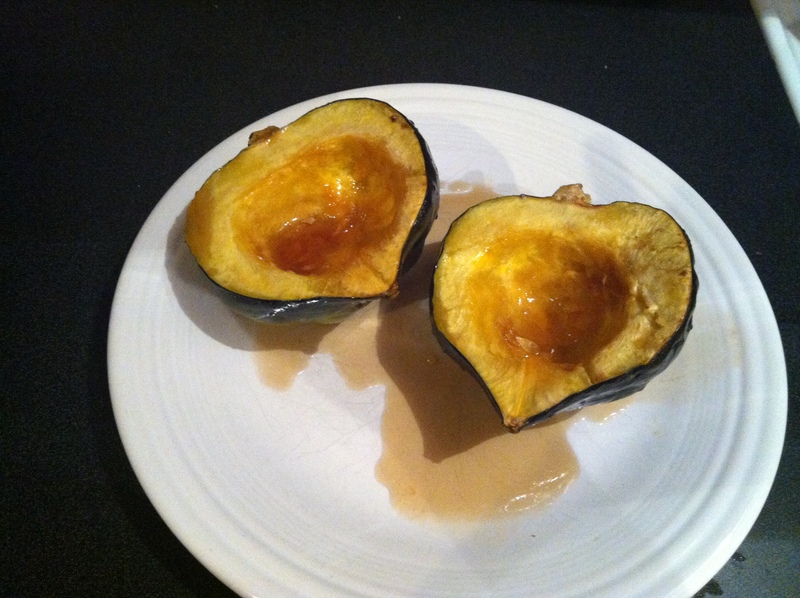 Spoon any of the brown sugar sauce that is melted in the cavity over the top of the squash halves and dig in!